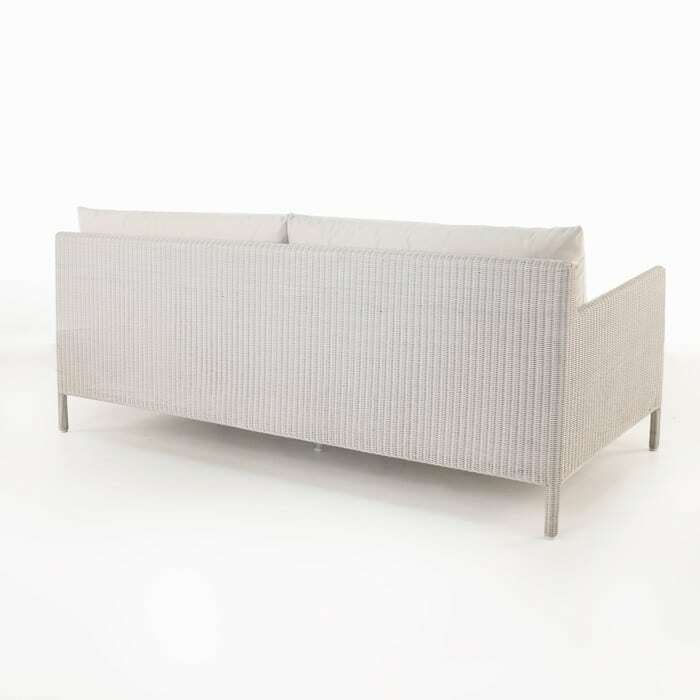 The Zambezi Wicker Outdoor Sofa is the perfect choice for those with hard to please tastes. The subtlety of the form and the immense comfort of the pieces are enhanced by the slim lines and deep seating. Add to that, plush FREE Sunbrella® cushions and you’ve got an outdoor sofa that will have your friends admiring your style and shopping prowess. The Chalk coloured sofa will fit among any outdoor space, even among other outdoor furniture. The versatility of the Zambezi Outdoor Sofa is impressive. The Zambezi sofa is also available in Pebble and an impressive and utilitarian colour in its own right. From the small footprint, to the perfect sitting angle on the seating surface, to the comfortable Sunbrella® cushions that Design Warehouse includes free of charge for this collection, you can find a comfortable spot to lounge the day away outside. Zambezi represents a sophisticated and slim wicker collection, while still highlighting its traditional roots. Highly durable and easy to maintain Ecolene® Synthetic Outdoor Wicker make this outdoor sofa a contemporary delight for all who use it..
Ecolene® is a high-end synthetic wicker fibre, built to meet or exceed impressive industry standards, allowing you to rest assured you’re buying a long-lasting and durable outdoor furniture that is also incredibly beautiful and whose colour wont fade and strength wont degrade over time. 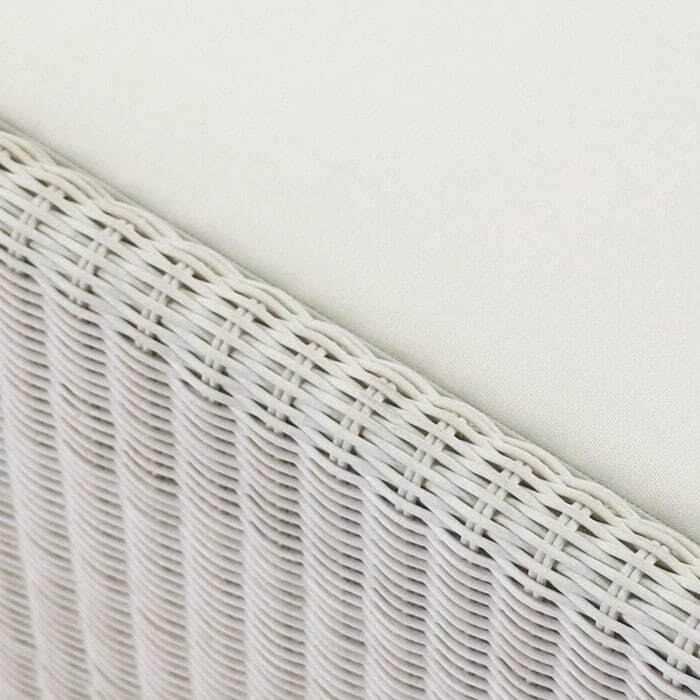 Ecolene® is through dyed, extruded synthetic wicker, impervious to fade, rotting, sun and ultraviolet exposure. It wont’ be negatively affected by huge temperature swings or by moisture. It maintains suppleness and always looks amazing. It requires exceptionally minimal maintenance to stay beautiful. 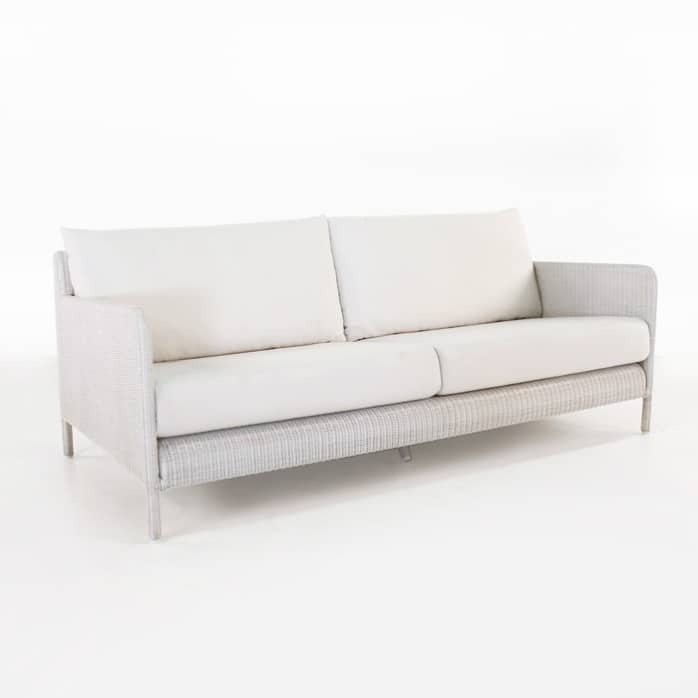 Design Warehouse has many outdoor sofas, with the Zambezi representing just one of many Wicker outdoor sofas. We also carry A-Grade Teak Outdoor Sofas made with responsibly and sustainably sourced teak wood, which has many of the same incredible weather resistant properties of modern composites and synthetics, while still being 100% natural. Design Warehouse is the premier outdoor furniture company located in New Zealand. Headquartered in Auckland, Design Warehouse offers a complete portfolio of Teak and Outdoor Wicker lounge furniture, accessories, and outdoor furniture from coffee tables, to dining chairs and Tables and sun lounging furniture. We offer fully assembled outdoor furniture built to high standards using only the finest materials and best practices. Our Outdoor Deep Seating Lounge furniture (of which this Zambezi Outdoor Sofa is a part) features FREE Sunbrella® cushions as shown. No other outdoor furniture company offers such an amazing value. 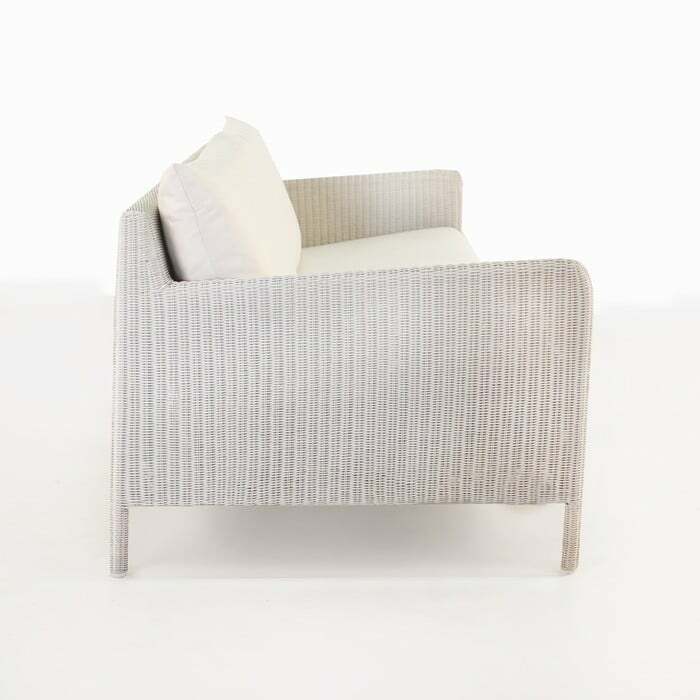 The Zambezi Outdoor Wicker Sofa is a comfortable and beautiful addition to any outdoor space, with its clean look, comfortable feel and ample seating. It is both classic and contemporary, without being pretentious. It’s a fast favourite among our customers. The Zambezi Wicker Outdoor Sofa is available in two Wicker colours: Ecolene® Chalk colour or Ecolene® Pebble colour. FREE included Sunbrella® cushions as shown.